The start of a new year gives us space to reflect on the past 365 days of our lives. Looking back at 2017 gave me a chance to process and come to appreciate all of the new lessons life brought. I am forever grateful for my community of friends and family that make the tears just as nourishing as the laughs. The past year also held some changes in my career. I am now the Community and Content Manager for The Kentucky Center for the Performing Arts. This means I get to create and share more content that highlights the mission of The Kentucky Center. Below is some content from 2017 that I'd like to share with you. Poet, Alisha Jordan, gets ready backstage during the Lipstick Wars Poetry Poetry Slam. Children in crisis learn to play the Mountain Dulcimer (the Kentucky state instrument) with AIH artist Lorinda Jones. Here’s to finding creativity during a crisis! This year The Center became an Autism Friendly Business by completing training provided by Families for the Effective treatment of Autism (FEAT) of Louisville and the Autism Friendly Community. On top of that, we provided Audio Description for 46 performances, Caption Theater for 35 performances and now offer noise canceling headphones for patrons who need assistance with sound sensitivity. We had over 5,000 uses of our various access services offerings and can't wait to assist in 2018. Tupperware lady extraordinaire, Dixie Longate poses for a photo at The Kentucky Science Center before her performance in Louisville. Louisville native Wendy Whelan leads a stretch break for the kindergarten class at the Brown School. Whelan spoke to older students about her life, working hard and achieving goals. 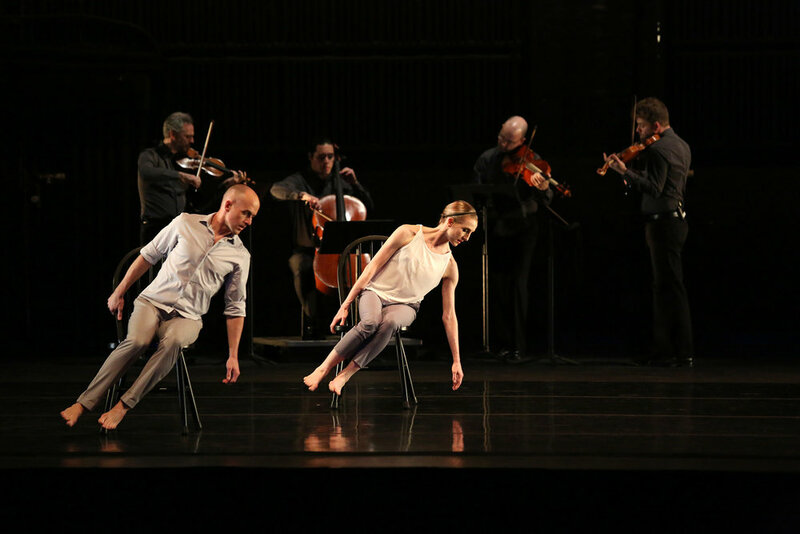 The piece was commissioned with producer Joyce Theatre, NYC with creators/performers Wendy Whelan (Louisville native, NYCB ballerina), Brian Brooks (first recipient Artistic Director at the Harris Theater, Chicago) and Brooklyn Rider (quartet based in NYC). The project consisted of mounting new work in the Brown Theater and Todd Hall on May 2-9, 2016 then made its Louisville premiere on Wednesday, March 8, 2017 at the Brown Theatre. The visit beyond the performance, also included Whelan’s lecture and Q&A with approximately 200 middle and high schoolers at the Brown School, her alma mater; simultaneous master classes by Whelan and Brooks at the Youth Performing Arts School; and a lecture-demonstration by Brooklyn Rider at Newburg M.S. with over 60 string students. The Warrior's Heart Community brings veterans and civilians together to bridge communication gaps, create compassion and build community. 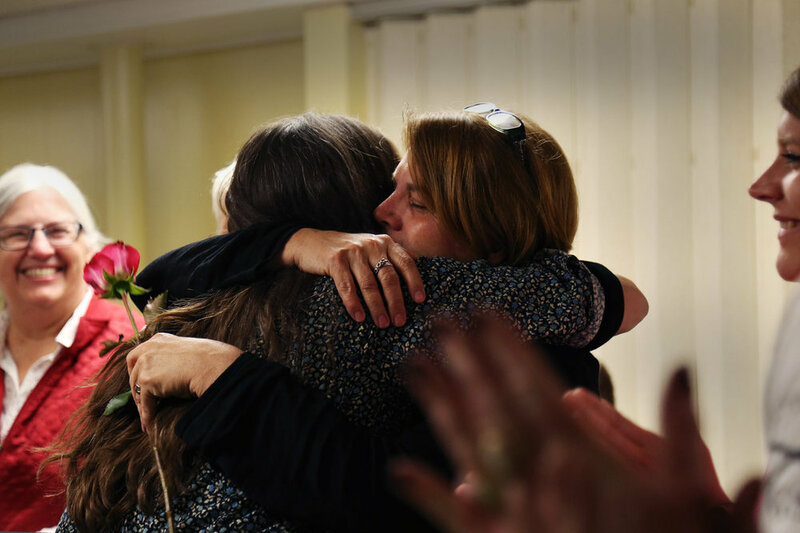 In this image, a Warrior’s Heart Community veteran received a huge hug of compassion from a civilian after 9 weeks of bonding, storytelling, and art-making. Connection and belonging are at the heart of healing. Heros Create! is an art program created for homeless veterans. The program creates community while vets are transitioned into more stable housing. Here, a participant puts the final touches on a quilt he made over 7 months in Heros Create! Mr. Keith Cook, ArtsReach violin instructor, helps a Young Masters violin student get ready to perform at The ArtsReach Showcase. In 2016-17, The Kentucky Center co-commissioned A Some Of A Thousand Words with producer Joyce Theatre, NYC with creators/performers Wendy Whelan (Louisville native, NYCB ballerina), Brian Brooks (first recipient Artistic Director at the Harris Theater, Chicago) and Brooklyn Rider (quartet based in NYC). The project consisted of mounting new work in the Brown Theater and Todd Hall on May 2-9, 2016 then made its Louisville premiere on Wednesday, March 8, 2017 at the Brown Theatre. The visit beyond the performance, also included Whelan’s lecture and Q&A with approximately 200 middle and high schoolers at the Brown School, her alma mater; simultaneous master classes by Whelan and Brooks at the Youth Performing Arts School; and a lecture-demonstration by Brooklyn Rider at Newburg M.S. with over 60 string students. Every summer for the past thirty years, GSA and our faculty of professional artist/educators have guided over two hundred of Kentucky’s finest young artists through three weeks of incredibly intense (and incredibly fun) arts instruction. 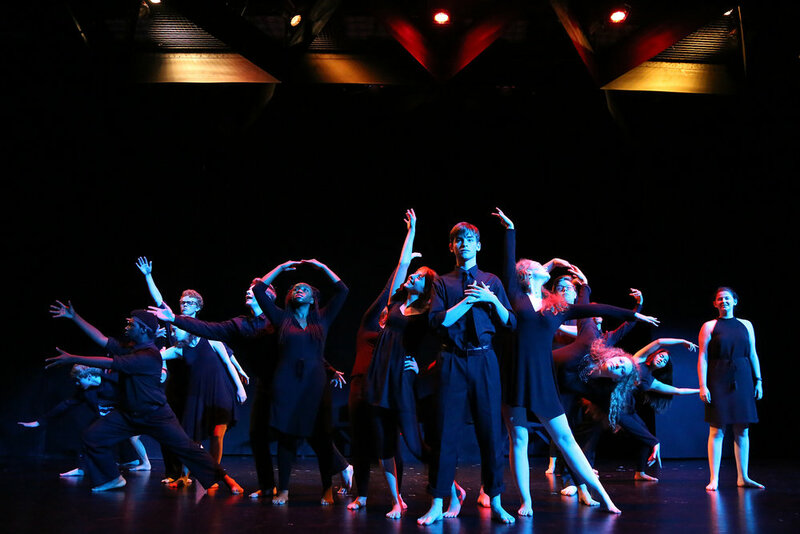 GSA auditions promising high school sophomores and juniors in nine different arts disciplines: Architecture +Design, Creative Writing, Dance, Drama, Instrumental Music, Musical Theatre, Film + Photography, Visual Art and Vocal Music. Here, drama students perform an original piece about acceptance of diversity. 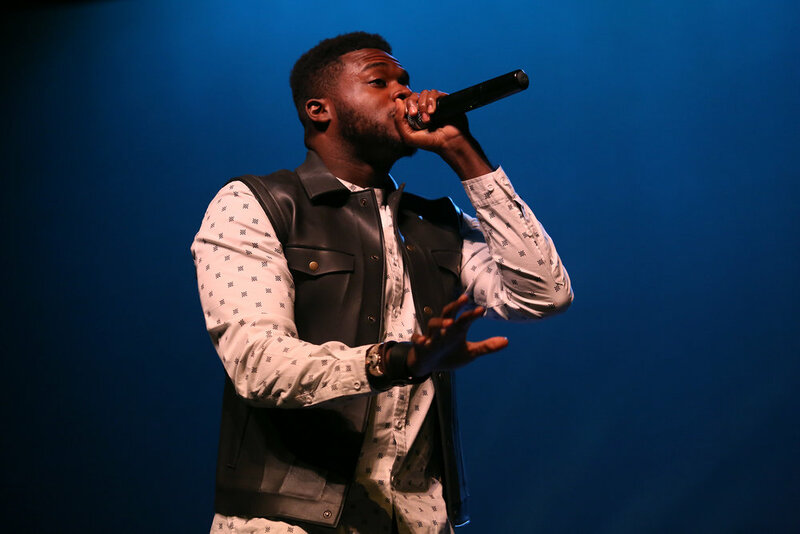 Governor’s School for the Arts alumnus (and member of the Grammy-award winning group Pentatonix) Kevin Olusola came home to GSA this summer, visiting with students and encouraging them to be the best artists they can be. 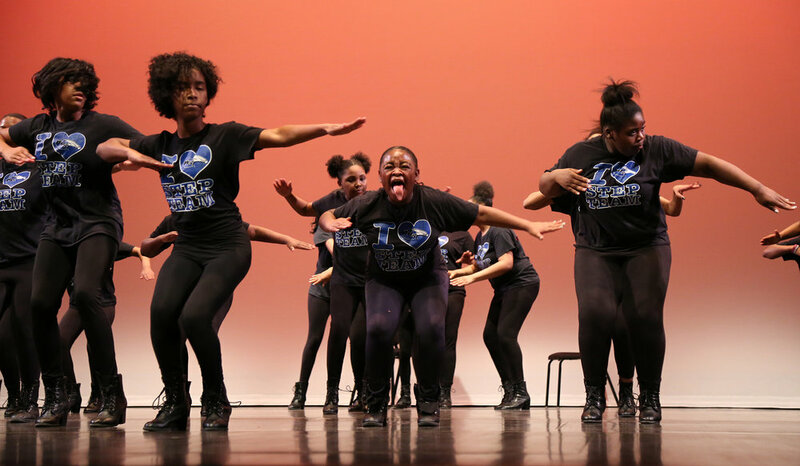 Young people from the Chestnut Street YMCA Dance Studio, choreographed by AR instructor Keisha Walker, perform at the ArtsReach Performing Arts Showcase May 21, 2017. 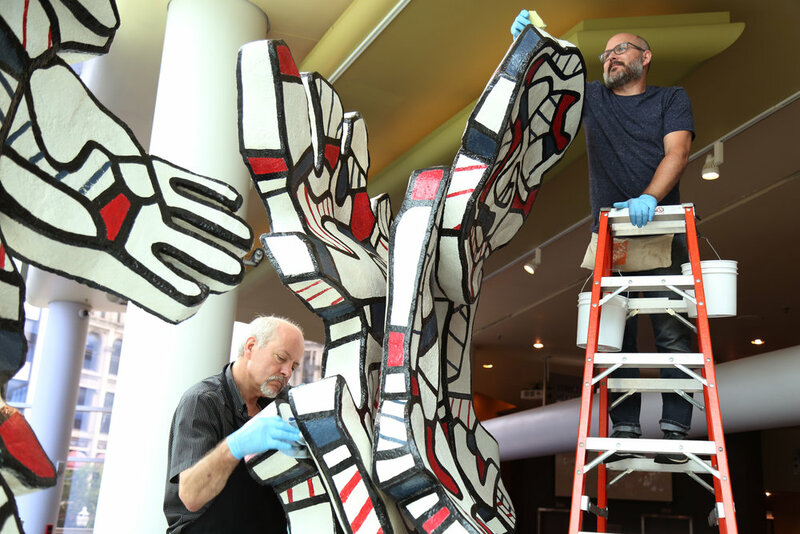 Conservators from The Conservation Center in Chicago clean “Faribolus and Perceval” by Jean DuBuffet. Dance students from The Governor's School for the Arts perform the final act of The American Four Seasons by Philip Glass. 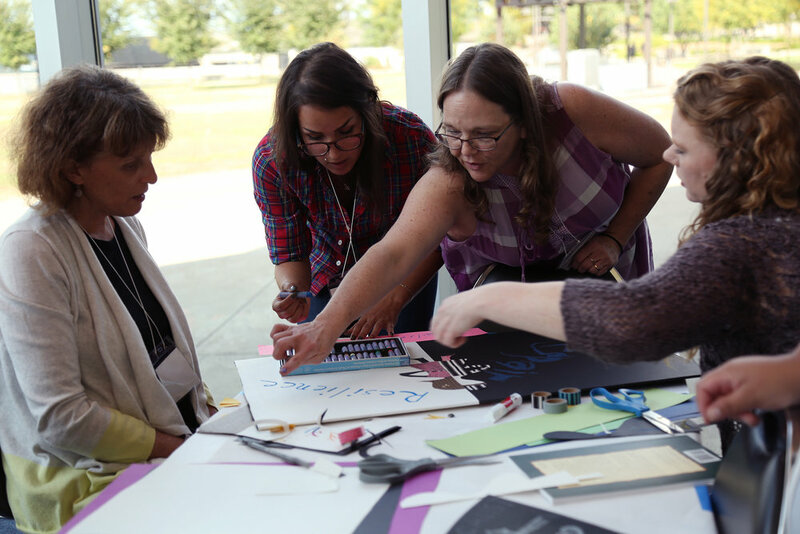 Teachers create a visual art response during professional development for Bearing Witness, a project that uses arts strategies to engage students more deeply in Holocaust studies. This project has gained international attention and has been the focus of a newly published book by faculty at UofL, Reading Challenging Texts: Layering Literacies Through the Arts. Complexions Contemporary Ballet lead several master classes across the metro during their residency at The Center. Here Doug Baum leads a class at the Youth Performing Arts School. Our review of 2017 rolls on with this image of Buddhist monks from Drepung Gomang Center for Engaging Compassion. The monks created a mandala out of sand during Festival of Faiths. 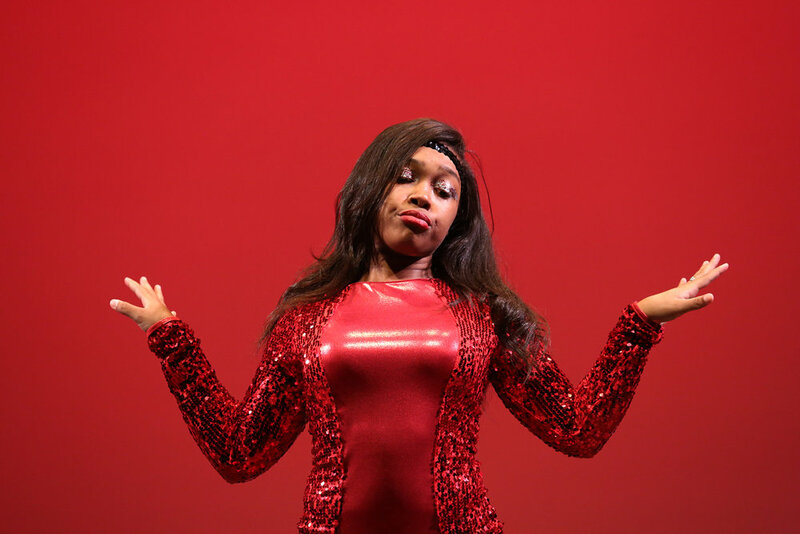 The Second City held classes at the Youth Performing Arts School, UofL School of Medicine and Jefferson County Technical College while in residency here in Louisville. Here, Becca Barish brought the laughs to faculty from Jefferson County Technical College in a professional development session. Becca led JCTC faculty members in an interactive workshop introducing the principles of improvisation as a tool for active listening, “knowing your audience” (aka students), mindfulness of different perspectives, communication methods, and engaging as colleagues in a fun and casual environment. 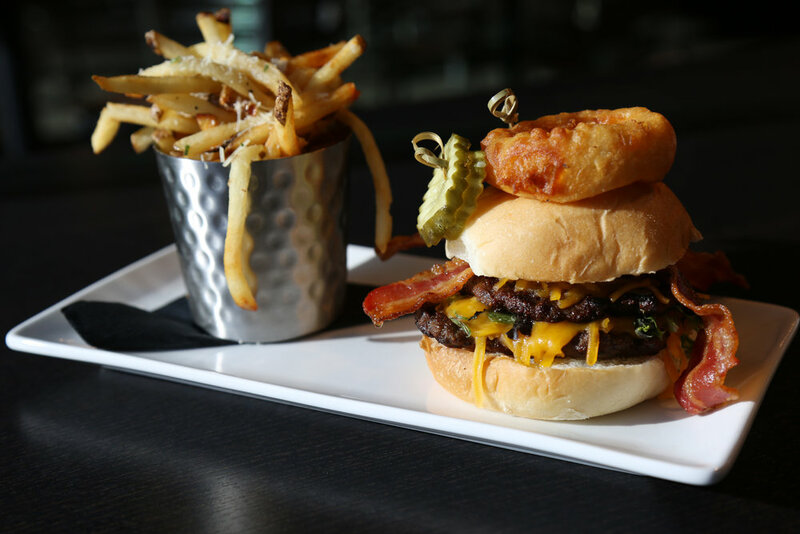 The Kentucky Center for the Performing Arts has recently opened a restaurant called SCENE. 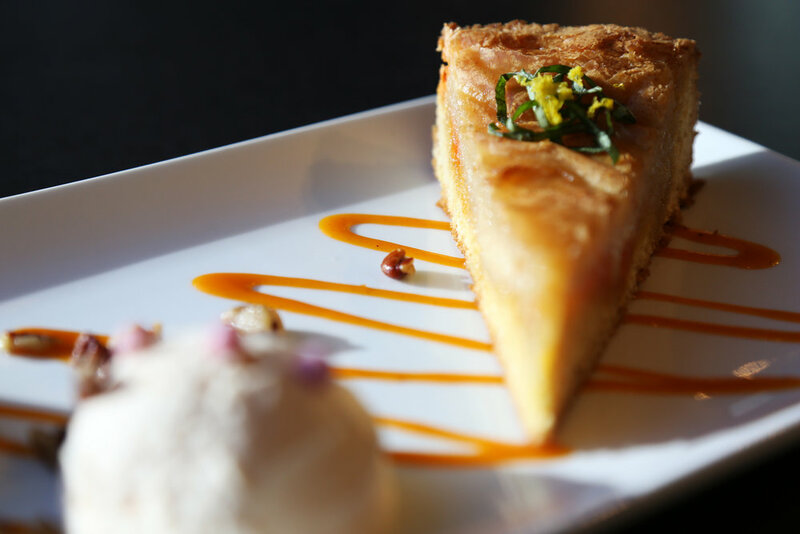 The chef, Scott Darnell, has done an amazing job of creating a menu that rotates seasonally so that he can take advantage of local produce. 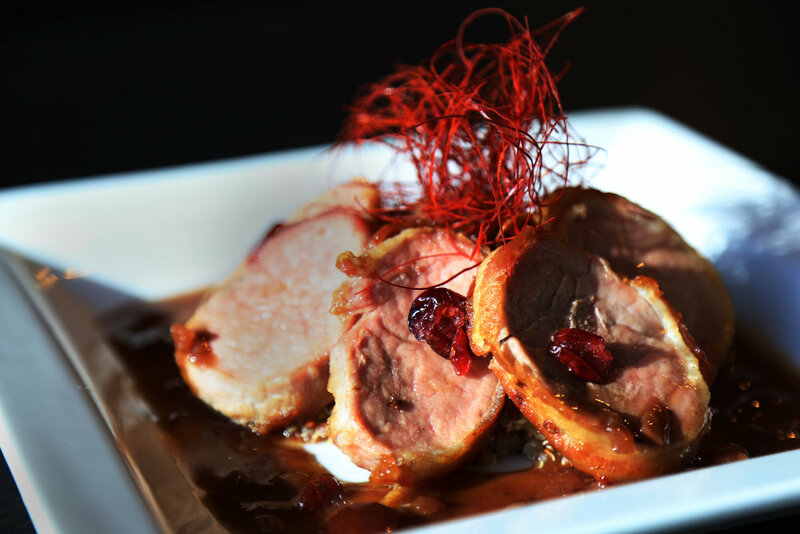 I don't often get to take food photos, so anytime I get the chance, I take the challenge. 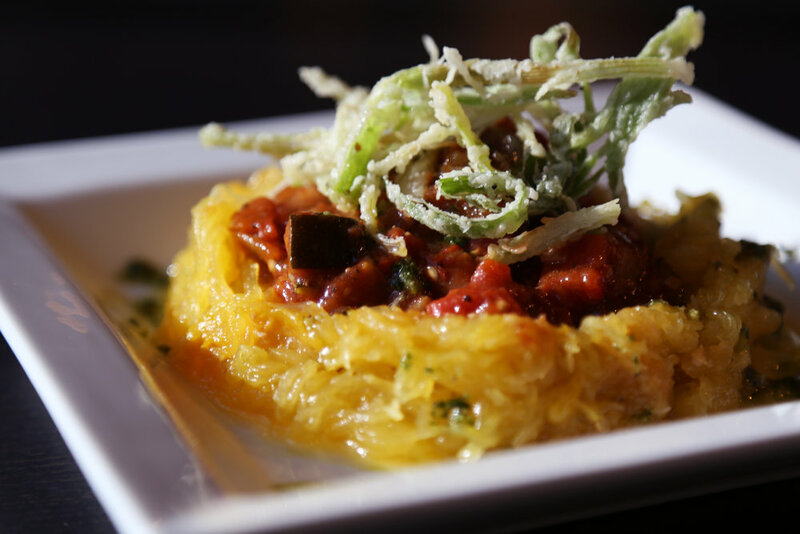 I'm pleased with how these images turned out and even more pleased that I got to try the dishes after the photo shoot. It's so humbling to be surrounded by artists, families and students who are so dedicated to creating community. ArtsReach is one of the programs at The Kentucky Center that seeks to provide an inclusive place for young people to participate in the arts. I can't even touch on all of the amazing things ArtsReach and its director Julia Youngblood accomplish, you'll just have to come to a performace and see! With the arts in the hot seat, I wanted to take a second to share a few photos that I feel capture why our communities need the arts. Each image is a small moment that brought joy, growth, unity and understanding to people. The beauty of being a photographer is that I can literally show you the wonder that the arts bring me each day. Also, these images are just a round up of the later part of 2016, please browse my blog to see more! Esperanza Spaulding performs at The Bomhard Theater at The Kentucky Center for the Performing Arts in Louisville, Ky., during her D+Evolution Tour. A patron of Thunder At The Center reacts to her face paint. Tom Cunningham explains how he plays the violin at an event that celebrated military families. A patron tries on a costume after A Hamilton Sing A Long. Fabric artist Penny Sisto tells her life story why demonstrating her craft to educators in the Anne Frank Bearing Witness program. 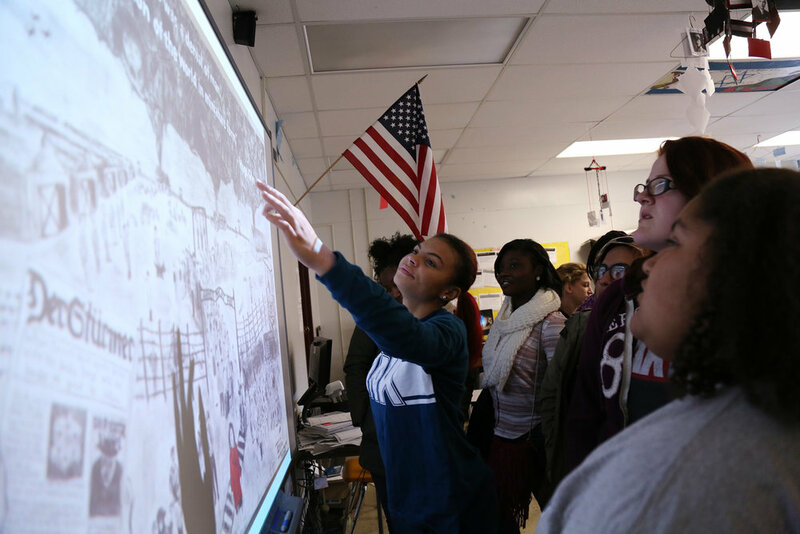 Students discuss Holocaust murals made by gifted students at a summer camp hosted by WKU. Teaching artist Talleri McRae gives pointers to students at St. Francis of Assisi after they performed an original skit about people affected by the Holocaust. Wendy Whelan teaches a master class at Louisville Ballet for Louisville Ballet School students. Youth sing along to songs from Hamilton. Students at ESL Newcomer Academy work on making shapes with dance and theater organization, Pilobolus. Community members dance together at a community movement workshop. This summer I was asked to spend three weeks documenting Kentucky's Governor's School for the Arts at Centre College. The experience was amazing and the talent that I witness was breath taking. The young people of this state filled me with hope for a future filled with understanding built by meaningful communication. Here are some of my favorite frames. The Da'Ville Classic is one of my favorite events to cover. Each year, River City Drum Corps invites drum lines from across the region to come together and show off their skills. Most of the drum lines are from schools or youth programs that aim to build strong, positive youth. This year I also helped to make a commercial for the Classic. The Kentucky Center for The Performing Arts has taken up a new dance initiative (do to a lot of hard work from a certain Mr. Nick Covault). A big part of that initiative is bringing in world class dance companies to work in our community. We were lucky enough to get the time and talent of the Stuart Pimsler Dance & Theater Company who, outside of modern dance, do a lot of community building in health care facilities for patients and caregivers. From January 20th to January 30th, The Kentucky Center hosted a Louisville residency for the artists of Stuart Pimsler Dance & Theater (SPDT). Funded in part by the National Endowment for the Arts, the residency consisted of more than 20 activities that included a public performance of mixed rep in the Bomhard Theater, workshops, classes, artist professional development sessions, and more. 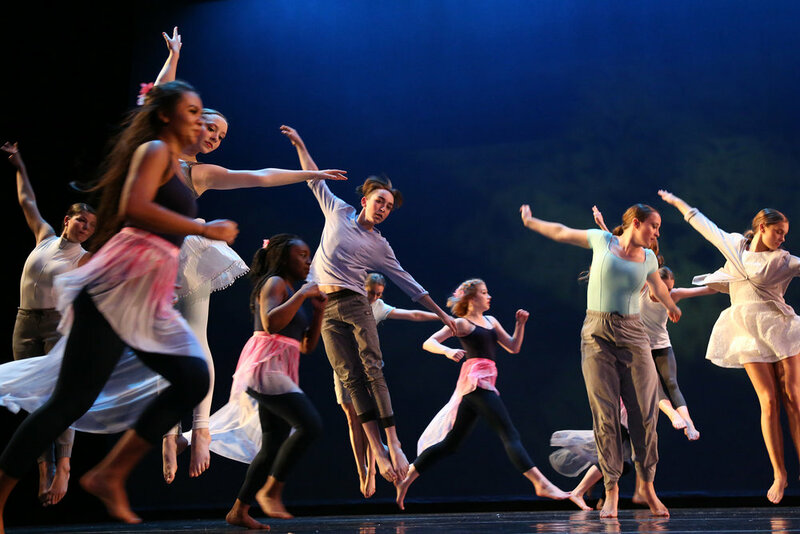 During their stay in Louisville, The Kentucky Center connected SPDT to more than 750 students, patients, caregivers, veterans, and everyday citizens who are curious about dance. Residency partners included Arts in Healing sites: the Alzheimer’s Association, University of Louisville Medical School, the Robley Rex VA Medical Center and Frazier Rehabilitation Institute, as the Compassionate Schools Project, Western Middle School, and Roots & Wings, just to name a few. The amount of community art's programing that The Center provides amazes me more and more every day. I was recently lucky enough to meet a person who has benefitted from some of those programs. Louisville Artist Ashley Cathey shared a piece of her artist development story with me so that I could share it with you all! Enjoy. The Kentucky Center for the Performing Arts has several outreach programs that are, in my opinion, its best kept secret in Louisville. If you want to know more about them, check out this website. One of those programs, Arts in Healing, puts artists in health care facilities to help patients, care givers and families express themselves or take a break. One of the locations the AIH serves is the Volunteers of America Shelby Street Men's Campus, which is an addiction recovery center. Each week an artist comes in and leads in activity like poetry, drumming or visual art. I cannot stress to you how much this works. I'm a visual person, so just check out the video above to get an idea of the role the program plays in these men's lives. The Kentucky Center ArtsReach Dance Studio at Shively City Hall is taught by hip hop instructor Corey Mumpfort. Through the ArtsReach Studio students experience an average of three hours of instruction each week with professional artists. Participants learn new skills, expand their horizons and develop a sense of self, well-being and belonging. As the individual is empowered, the arts simultaneously build and strengthen the community. When The Kentucky Center opened its doors over 30 years ago, one of its key missions was to bring the arts to the community. Not only by providing a home for the performing arts but also by making the arts accessible to everyone. That’s exactly what ArtsReach does. By serving as a community connection, ArtsReach is nurturing and developing new, young, and diverse artists and audiences. ArtsReach has collaborated with community centers throughout Louisville Metro since 1991. 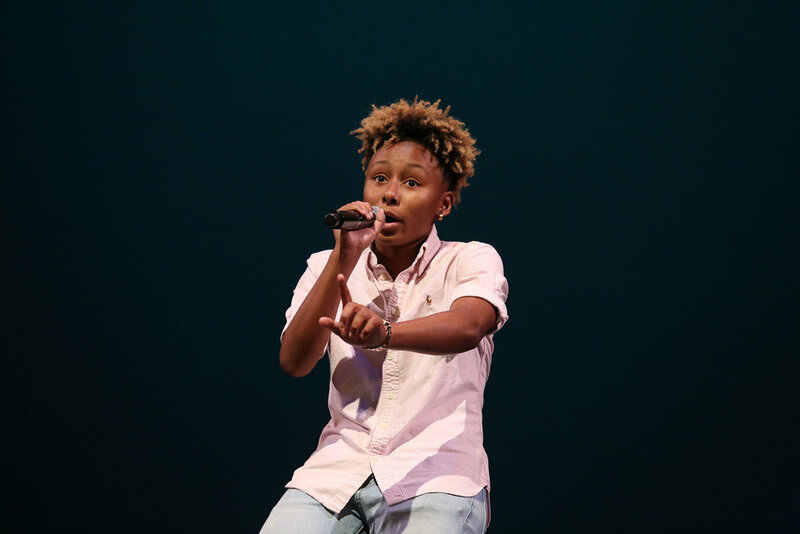 ArtsReach empowers youth in community settings through studio arts instruction in dance, violin, and visual art, residencies with renowned artists, hands-on interactive art workshops, affordable tickets to performances, and the opportunity to perform on the Kentucky Center’s professional stages. The education side of things at the Kentucky Center recently teamed up with Jefferson County Public Schools to bring a new tool to the classroom. Working with teachers, the Center provided training and support for students to make a deeper connection to The Diary of Anne Frank through the arts. Students took the text and explored it through drama, writing and visual art to discover a few of the timeless lessons of Anne's life. I have been fortunate enough to work with ArtsReach to capture a small piece of the amazing work the program brings to the community. As their webpage says, "for 22 years, ArtsReach has collaborated with community centers and organizations throughout Louisville Metro to weave the thread of the arts into the fabric of our neighborhoods and enhance the landscape of community arts." Most of the programs that ArtsReach sponsors performed at the annual ArtsReach Showcase at the Brown Theater. Here are a few of my favorite images from the violin program. We are trying to expand our membership base at The Kentucky Center for the Performing Arts by using videos to share current member's stories. I have exciting news! As of February 18th, I am the media producer and content manager for the The Kentucky Center for the Performing Arts. Jumping from news to arts has been an interesting and exciting ride. I am so excited for the projects we have in the works and I am more exciting to share them with you! In my new role I help to spread the word about the amazing programs the Center promotes, creates and carries out. We are the home for the Governors School for the Arts, Arts Reach, Arts in Healing and several other educational programs that get art into people's lives. Stay tuned for more info and updates on some truly amazing programs. Anastasia Chapman sings with the Noe Middle School Chorus as part of the Anne Frank: Bearing Witness project. The project introduced middle school students to the Diary of Anne Frank and asked them to reflect and respond to what they read using performance art. Dancers in Bourbon Baroque's Dido & Aeneas rehearse leading up to the classical performance. A woman dances to Oliver Mtukudzi, a Zimbabwean musician, at Jefferson Community and Technical College. February?! When did that happen! I have totally missed out on the "best of last year" window. Oh well, here's the post anyway. Rehearsal for the Brown-Forman Nutcracker. The frantic look of my editor as he told me there was a school shooting is something I won't forget. But that look was nothing compared to the terror in the eyes of the family members of students at Fern Creek. Students wait for their parents to pick them up from the tennis court after a student at Fern Creek High School shot another student. The Spirit of Jefferson waits for passengers on the river front during the Centennial Festival of Riverboats. Mathew Lanhood and girlfriend Katie Keisler enjoy the view from the deck of the Belle of Louisville.